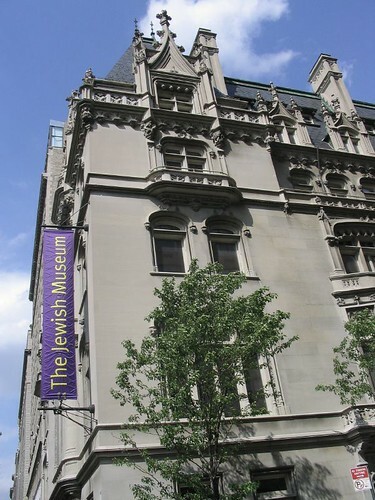 We like it that the Jewish Museum, under its new Director, Claudia Gould, is redefining its mission. Once a museum of Jewish history and art, it’s becoming a museum of art and history from a Jewish perspective. And, in a nod to contemporary competition, it’s now open Saturdays with free admission to accommodate Orthodox patrons, who don’t handle money on the Sabbath. But it still screens visitors with a metal detector. The Radical Camera exhibit, which closed March 25, to re-open April 19 at the Columbus Museum of Art in Ohio, is a case in point. Although some of the photographers showcased and some of the subjects treated in Radical Camera were Jewish, the exhibit is not about ethnicity or religion, but about the Photo League, a New York camera club whose members honed their skills while documenting poverty and injustice in powerful streetscapes, street portraits, and iconic grab shots. The exhibit melds two complementary collections of black and white photographs taken, mostly in New York, by Photo League members between 1936 and 1951. Some come from the permanent collection of the Jewish Museum. The rest are owned by the Columbus Museum of Art. Photo enthusiasts will recognize some of the names that power this exhibit : Lewis Hine, Paul Strand, Berenice Abbott, Robert Frank, Walter Rosenblum, Lisette Model, Aaron Siskind, Sid Grossman, Weegee and W. Eugene Smith. But that’s not all. You’ll be introduced to a busload of equally powerful photographers whose names don’t grace the wall of fame. If you missed the Radical Camera in New York and can’t catch in Columbus, in San Francisco at the Contemporary Jewish Museum (opens October 2012), or at the Norton Museum of Art in West Palm Beach starting February 2012, grab a copy of the book: The Radical Camera: The New York Photo League, 1936-1951 by Mason Klein and Catherine Evans, Jewish Museum of New York and Yale University Press, 2011.